Gifts have been unwrapped and put away. Paper and packaging has been cleared away. New play-doh that came out of the can in such vibrant colors are now a sad shade of beige. What’s next to do? Thank You Notes. Time to write the Thank You notes. What?! You may think that Thank You notes are antiquated and a throwback to the dark ages before we had stuff like email and unlimited minutes and instant gratification but that is what makes Thank You notes (or letter writing and manners in general) is fine art that transcends all social and class lines. It really can be the great equalizer! Writing a note by hand allows you to put to paper human emotions: joy, sorrow, gratitude, love, nostalgia. And if you think about it, those (and anger) are among the first emotions we learn to articulate verbally. According to Margaret Shepherd, author of The Art of the Handwritten Note, your Thank You Note should have five characteristics. It should be: generous, specific, prompt, succinct and personal. Generous. Send the note even if you’ve already thanked the giver in another way. Specific. Mention the gift but thank them for the THOUGHT behind it. Prompt. Send the note right away, but don’t let lateness stop you from writing at all. Succinct. Keep it short by writing about any unrelated matters in a separate note. Personal. Write it by hand. No form letters, printouts or greeting cards. Now some of you, like me, are parents. And since you are a parent, that means you have children. If you have taught your kids to say “thank you,” you can teach them to write thank you notes! When it comes to kids, you have a new options. For the first five years, or so, you can write on your child’s behalf. I, personally, write in the child’s voice. For an older preschooler, they could dictate to you what to write or copy a few lines down that you have written for them (if they can write their letters) or they can write their name at the end of the note. Support your child. Give your child their very own stationery and special pen. Make sure your child has all of the needed addresses or address the envelopes for them as they write the note. Personalize it. If you child likes glitter, stickers, stamps, or the like, let them add the embellishments to their note. Model. Your child will not want to write thank you notes if they do not see you writing notes. Just as your child sees you saying “Thank You” in person, let them see how that gratitude is translated into a thank you note. Make sure your child sees how enjoyable RECEIVING thank-you notes is by reading the notes you receive aloud and posting them. Join them. Sit down with your child and write something as well: your own thank-you notes, journal, a letter, etc. If nothing else, it’s helpful for your child for you to be there, to offer support with spelling, advice and phrasing. Have the gift at the ready. Kids are concrete. They remember the here and now, so it might be helpful for to have the gift in front of your child when they write. Ask your child how they felt when they received the gift. If they were not too keen on the gift, ask them to imagine how happy Auntie was picking out the gift for them. Reciprocity. Help your child understand the pleasure people get from being thanked by making sure they know what it feels like to give a gift and then receive a thank-you note. If you write a thank-you note to your child, it is a concrete example of how thank-you notes make people feel. And how cool is it, as a child, to receive a thank-you note from a grown-up?! I hope this takes some of the scare out of writing thank-you notes and encourages you to start a new tradition of your own! We are down to 2 Saturdays until Christmas! 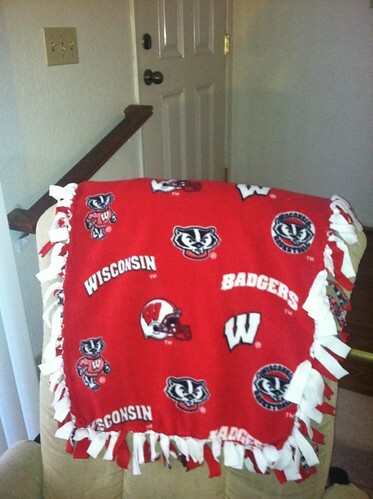 I am hopping a plane back to the midwest to attend a baptism in a few hours leaving Daddy and Daughters home for a little Daddy-Daughters weekend, in which they will be taking the Christmas Card Picture (hint… The Wisconsin Badgers will have something to do with the picture!) and possibly getting the tree. I am a little sad to miss out on the tree hunt, but I am very excited for my Godson, Cazimir’s, baptism. So far, we’ve covered ladies, gentlemen and those-hard-to-shop-for ; this week… easy-peasy homemade gifts for even the most non-crafty! I’ll admit right at the outset… some of these ideas came from Pinterest. Pinterest is a crafty and non-crafty girls’ dream! But beware… it can be addicting. You’ve been warned. This is an easy craft that doesn’t take that much time. You need two pieces of fleece, both the same length. Lay one piece on top of the other and make continuous cuts around the outside, 2″ (5cm) in length. Once all of the cuts are made, tie one fringe from fleece #1 to one fringe of fleece #2 all around, using square knots. Once you’ve finished, you have a great, practical gift for anyone! One key thing to keep in mind, make sure your shears are sharp because fleece is very dulling. I personally love gifts in jars. They are pretty to look at. They store well and when you are done with them, you have a new jar! For most food-based gifts-in-jars, you will need a 1-QT Mason Jar with lid. You can jazz the jar up with some scrap fabric, ribbons and a hot glue gun. For bath/ beauty gifts-in-jars, the Pint Sized Mason Jar should suffice. 1. In a large bowl, beat the butter, egg and vanilla until well-blended. Add contents of jar and stir until combined. 2. Drop by rounded tablespoons 2 in apart onto an ungreased baking pan. Bake at 350 for 12-14 minutes or until set. Remove to wire racks to cool. Store in airtight container. 1 can diced tomatoes, undrained. 1. Remove pasta from top of jar and set aside. Place water in a Dutch Oven; stir in soup mix. Bring to boil. Reduce heat, cover and simmer for 45 minutes. 2. Add the chicken, tomatoes, and pasta. Cover and simmer 15-20 min longer or until pasta, peas and lentils are tender. Hope this will help a bit in your holiday shopping! This has been a fun series and I hope that you have enjoyed reading it as much as I have enjoyed writing it! We are down to 5 Saturdays until Christmas! In our family we really value not celebrating/ decorating Christmas until after Thanksgiving (although I would prefer waiting until after ADVENT, but we compromise.) But that’s not so say that the shopping portion can not be completed earlier! Sometimes it’s really hard to find great gifts for people, ones that are functional but also pleasant, so I thought that I would offer some unsolicited advice on what I would consider great gifts. So far, we’ve covered ladies and gentlemen; this week… those who are hard-to-shop-for/ “have everything” in your life! These are the people who tend to receive cash or gift cards or something just as generic. So, this year, lets change it up a bit and consider Charitable Donations! These can be a bit on the tricky side. The key to giving a charitable donation is to keep your recipient and their stance on issues in mind. Your gift is supposed to be one of appreciation and kindness and should not start an ideological war. The list below is not a comprehensive list and you can of course look to local agencies, but consider this a starting point! These are kind of neat because you can use your cash to buy a gift in someone’s name which is then donated to a family. Some examples of the gifts are: cows, goats, honeybees, fish for a fish pond, micro finance, etc. Hope this will help a bit in your holiday shopping! Next week, we’ll talk about some easy-peasy handmade gifts that even the non-crafy among us can make and give!! And of course, if you know of other charities or other great gifts, please leave a comment below! We are down to 6 Saturdays until Christmas! In our family we really value not celebrating/ decorating Christmas until after Thanksgiving (although I would prefer waiting until after ADVENT, but we compromise.) But that’s not so say that the shopping portion can not be completed earlier! Sometimes it’s really hard to find great gifts for people, ones that are functional but also pleasant, so I thought that I would offer some unsolicited advice on what I would consider great gifts. Last week, we talked about the ladies; this week… the men in your life! Now I know what you are thinking… ewww. But I will tell you, both my husband and his father swear by their pocket handkerchiefs. They always have one on them and they are not just for blowing noses. A gentleman can use his handkerchief as a small bandage or tourniquet, or to carry small treasures as they are found. Maybe you aren’t too keen on the hygiene part of the handkerchief? Maybe consider a patterned pocket square for his suits. If your gent is wearing a French Cuff suit, he will need a great set of links. You can find links at all price points and all materials. In addition, unless your gents’ shirts have button-down collar points, he might appreciate collar stays. Just like cuff links, you can find collar stays in all sorts of material, but my hubs swears by his brass ones. What a way to start the morning! If your guy loves his espresso, but not the hit on his wallet by stopping at LCS (local coffeeshop) every morning, consider a MokaPot. Priced very competitively it is a handsome addition to your kitchen… just like your gent! A classy timepiece. And he can never claim to not know what time it is! Even though one is out of doors, you still need a wallet to keep everything together! Your guy could take this gift one of two ways… hopefully he will look at your giving him a great survival tool. This is not your mother’s instant coffee! I am a huge fan of Starbucks VIA and I always have a stash here at home when just don’t feel like making a Press full of coffee. All your guy would need for a cuppa-joe on the go is fresh, clean water and a heating source. A trip to Yellowstone National Forest (or another equivalent) so he can live out all of his outdoorsy dreams! 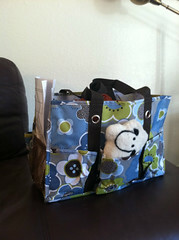 Lots of pockets and a space for his laptop, a computer bag will keep your guy organized and ready for anything! 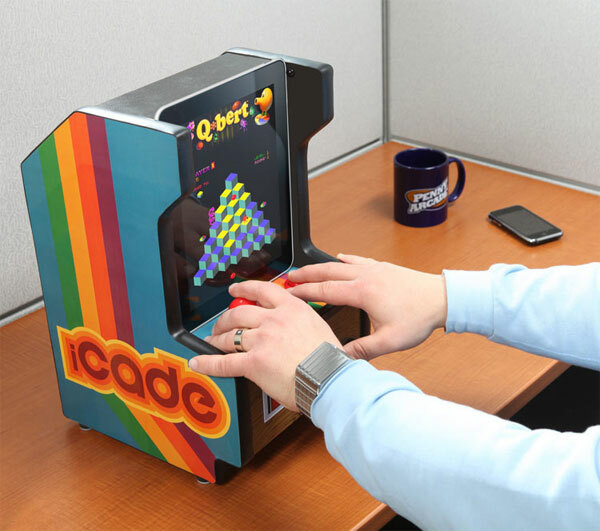 If your guy spent a lot of time at the arcade as a kid, or thinks arcades are just cool and this current generation is missing out… here you go! Never be without a bottle opener again. Find out what he is looking for, or take him along to buy a new computer and surprise him by footing the bill. Hope this will help a bit in your holiday shopping! Next week, we’ll talk about those who have “everything” in your life!! 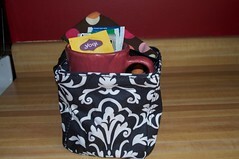 Many of the bags shown can be ordered at my Thirty-One webstore. Looking at my calendar this morning, I’ve realized that there are (including today) 7 Saturdays until Christmas! Shopping is not my favorite past time, but if I have a plan, then it’s more bearable. Sometimes it’s really hard to find great gifts for people, ones that are functional but also pleasant, so I thought that I would offer some unsolicited advice on what I would consider great gifts. For the next 5 weeks, I will offer some gift ideas for the people in your life. This week… let’s start with the ladies! -Fingerless mitts are great for keeping her palms and wrists warm, but still giving her the dexterity for working her craft. 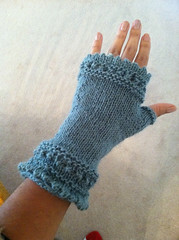 For some reason, knitting/ crocheting/ sewing tends to make your hands cold! – Luxe Hand Lotion. When working with natural fibers, like wool, it can really dry out your hands. Surprise her with a great hand cream in a travel size so she can tuck it into her craft bag. 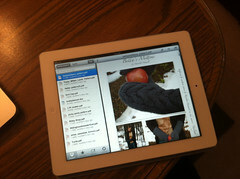 – SPLURGE: an iPad 2 works fantastically for storing patterns and scrapbook templates. Plus, now with iCloud, all of those files can be stored “in the Cloud” and shared across platforms. -The new edition of Emily Post’s Etiquitte. Timeless, classic and always handy. -Fine writing paper. These tend to be heavier weight with natural fibers and they are a dream to write on. Complete the gift with a fountain pen with a fun ink color. 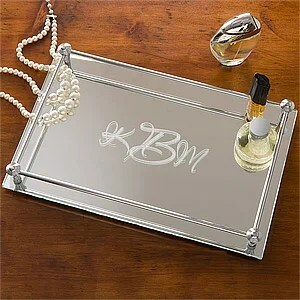 –A small mirrored or silver tray, perfect for her dresser with an assortment of nail polish in neutral shades. – Infinity scarves. These scarves are essentially one large loop of material, but can be styled in multiple ways. If you are a knitter, grab your size 50 needles and some super chunky yarn and make one out of a giant I-cord! -A fun wristlet. Wristlets are great because they can double as wallets, plus they make a cute little handbag for girls’ night out. -Head back to the nail polish section and pick up some fun shades: teal, gunmetal, taupe, magenta, enclose it with a gift certificate for a mani/pedi and pack it into a cute bag! -SPLURGE: the new iPhone 4S, if she doesn’t have one already! 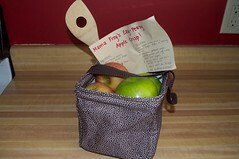 – Grab some local apples, a bamboo spoon, a few spices and your favorite recipe for apple pie and tuck it into a handy tote! Hope this will help a bit in your holiday shopping! Next week, we’ll talk about the men in your life! !